Horror Channel’s film highlights for September include the UK TV premiere of the acclaimed THE DEAD, the smash-hit African-set zombie film by The Ford Brothers. The film will be broadcast on Saturday 27 Sept at 10.50pm. The Ford Brothers burst onto the scare scene as a fresh force in the horror fantasy arena with this original take on the zombie holocaust genre. 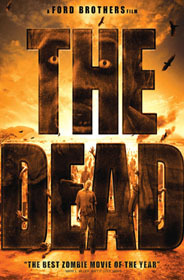 THE DEAD features stunningly shot landscapes, brilliant visual effects and terrific dust devil zombies. The film is set in the near future when most of the world has succumbed to a living dead virus. After crashing off the coast of Africa, Lt. Brian Murphy (Rob Freeman) battles for survival across inhospitable parched terrain in search of a way to get back to his beloved family in America. Saved by local military man Sgt. Daniel Dembele (Prince David Osei) who is also searching for his son, both men join forces to fight the ever-present flesh-eating threat stalking the bush. There are also UK TV premieres for TWIXT (Sat Sept 12. 22:45), written, directed and produced by Francis Ford Coppola, starring Val Kilmer and Kaare Andrews’ ALTITUDE (Sat Sept 6, 22:45), whilst OLDBOY (Sat Sept 20, 22:45), Park Chan-wook’s controversial classic receives its network premiere, as does the French-Romanian Chiller THEM (Sun Sept 28, 22:50). 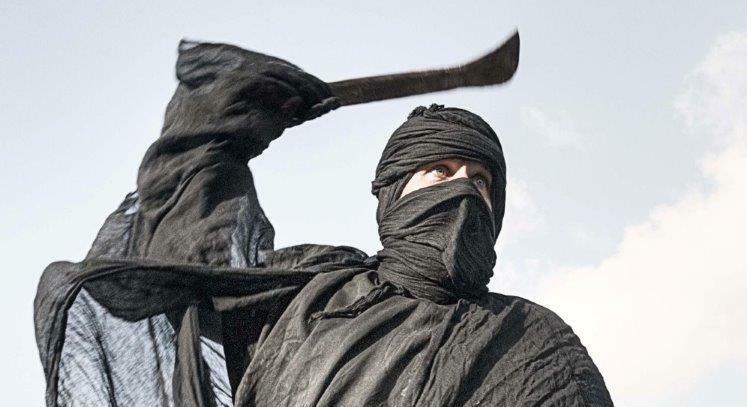 Plus, there is a Brit-inspired Urban Terror Season, which kicks off Fridays at 22:50 from Sept 5, featuring the network premieres of Johannes Roberts’ ferocious school shocker F (Fri 5th), and Menhaj Hudo’s ‘Towerblock Terror’ COUNTDOWN (Fri 26th). The other films in the season are COMMUNITY (Fri 12th), starring Jemma Dallender and CHERRY TREE LANE (Fri 19th), directed by Paul Anderson Williams.